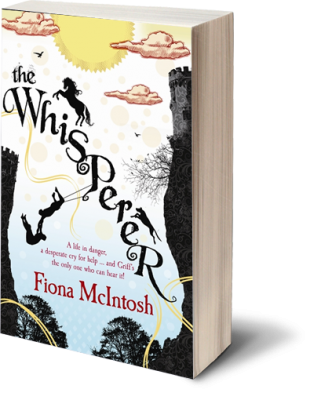 Griff is an ordinary boy, working at a circus – but he has an extraordinary ability. He can receive people’s thoughts, although in an unfocused way. When the circus master decides to exploit this talent, disaster ensues. 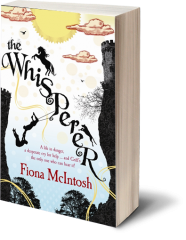 Griff decides to escape, taking with him fellow circus member Tess and her magical creatures. Meanwhile, Griff is hearing a cry for help from Lute, the Crown Prince of the realm, under attack from his uncle Janko, who wants to rule in his stead. Escaping from Janko’s clutches, Lute encounters Bitter Olof, a bandit with a long history, and Calico Grace, captain of the pirate ship Silver Wind. With allies both magical and human, Griff and Lute must reclaim their inheritance and discover the truth behind their mysterious communication.